A PDF version of this document is also available for download (687KB). There is growing documentation of the challenges women have faced and are facing in having an equal role in astronomy. At the same time, women are attaining important positions throughout the astronomical community, including the presidency of the International Astronomical Union and the American Astronomical Society. This means that excellent role models are now available to show girls that they can be an integral part of the human exploration of the universe. Many instructors of astronomy would like to present such role models during their class discussions, but don’t have the material to do so at hand or in their textbooks. Therefore, the Higher Education Working Group within NASA’s Science Mission Directorate has sponsored this guide to English-language materials. It is not meant to be a comprehensive introduction to this complex topic, but merely a resource for educators and their students on where to begin looking at the history, the biographical information, and the current issues. Suggestions for additional materials that are both accessible and readable are most welcome. Alic, Margaret Hypatia’s Heritage: A History of Women in Science. 1986, Beacon Press. Chapters on Mary Somerville and Caroline Herschel. Armstrong, Mabel Women Astronomers: Reaching for the Stars. 2008, Stone Pine Press. Covers the lives and careers of 21 women astronomers, past and present; written for teenagers and up. Byers, Nina & Williams, Gary, eds. Out of the Shadows: Contributions of 20th Century Women to Physics. 2006, Cambridge U. Press. Includes chapters on Payne, Burbidge, and Bell Burnell. Ghez, Andrea & Cohen, Judith You Can Be a Woman Astronomer. 2006, Cascade Press. A picture book for children from grades 3 - 5. Jones, Bessie & Boyd, Lyle The Harvard College Observatory (1839-1919). 1971, Harvard U. Press. Has chapters on the work of a number of key women astronomers. Lankford, John “Science and Gender: Women in the American Astronomical Community” in his American Astronomy. 1997, U. of Chicago Press. 72-page sociological overview, with statistics. McKenna-Lawlor, Susan Whatever Shines Should Be Observed. 2003, Springer. The story of five 19th century women who made contributions to astronomy and science; too bad the price from the publisher is inappropriately high for a popular book. Dvorak, J. 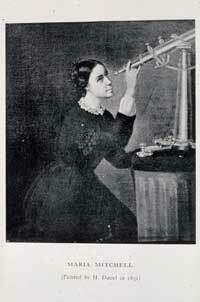 “The Women Who Created Modern Astronomy” in Sky & Telescope, Aug. 2013, p. 28. 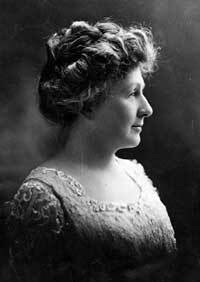 Focuses on the work of Annie Cannon, Antonia Maury, and Wilhelmina Fleming in classifying and understanding stars. Greenstein, G. “The Ladies of Observatory Hill” in American Scholar, Feb. 1993, p. 437. On pioneering women astronomers at Harvard. James, C. “Edward and Mina” in Astronomy, July 2002, p. 46. Despite the title, this treats several women who worked at the Harvard Observatory. Kidwell, P. “Three Women of American Astronomy” in American Scientist, May/June 1990, p. 244. On Cannon, Mitchell, and Payne-Gaposchkin. Rizzo, P. “Early Daughters of Urania” in Sky & Telescope, Nov. 1954, p. 7. Rubin, V. “Women’s Work: Women in Modern Astronomy” in Science 86, Jul/Aug. 1986, p. 58. Warner, D. “Women Astronomers” in Natural History, May 1979, p. 12. Bibliography by Ruth Freitag: http://www.loc.gov/rr/scitech/womenastro/womenastro-intro.html	A far more comprehensive and scholarly bibliography, organized by last name, of written articles on women in astronomy. Ruth Freitag’s work was the early inspiration for the resource guide you are reading. History of Women in Astronomy: http://astro.berkeley.edu/~gmarcy/women/history.html The text and images from a slide set on women astronomers available from the Astronomical Society of the Pacific. Includes capsule biographies of women from Carolyn Herschel to Sidney Wolff. She is an Astronomer: http://www.sheisanastronomer.org/ This relatively new site, a project of the 2009 International Year of Astronomy, has capsule biographies and useful links to discussions of issues that confront women in astronomy. The Woman Astronomer: http://www.womanastronomer.com/ Debra Davis, a Colorado amateur astronomer, keeps this site and newsletter devoted to both amateurs and professionals. Women in Astronomy: A Resource Guide by Andrew Fraknoi: http://www.astrosociety.org/education/astronomy-resource-guides/women-in-astronomy-an-introductory-resource-guide/ (an expanded version of this guide, with many more listings for individual women). Becker, Barbara Unraveling Starlight: William and Margaret Huggins and the Rise of the New Astronomy. 2011, Cambridge U. Press. Has much material on Margaret Huggins’ role in their partnership and her activities after William’s death. Berglund, Renee Maria Mitchell and the Sexing of Science. 2008, Beacon Press. Story of her life and of the importance of her work and fame for women’s issues. 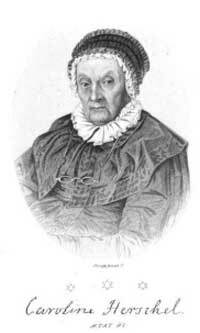 Brock, Claire The Comet Sweeper: Caroline Herschel’s Astronomical Ambition. 2008, Totem Books. A popular-level biography. Burleigh, Robert Look Up! 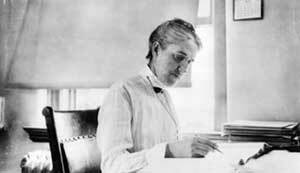 : Henrietta Leavitt, Pioneering Woman Astronomer. 2013, Simon & Schuster. A book for children ages 4 – 8. Gingerich, Owen “The Most Brilliant PhD Thesis Ever Written in Astronomy” in Phillip, A. & Koopman, R., eds. 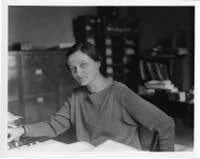 The Starry Universe: The Cecilia Payne-Gaposchkin Centenary. 2001, L. Davis Press. Goss, Miller Making Waves: The Story of Ruby Payne-Scott: Australian Pioneer Radio Astronomer. 2013, Springer. Haramundanis, Katherine, ed. Cecilia Gaposchkin: An Autobiography and Notes, 2nd ed. 1996, Cambridge U. Press. Hill, Edward My Daughter Beatrice. 1986, American Physical Society. About Beatrice Tinsley. Johnson, George Miss Leavitt’s Stars: The Untold Story of the Woman Who Discovered How to Measure the Universe. 2005, Atlas/Norton. Biography by a science journalist. Lemonick, Michael The Georgian Star: How William and Caroline Herschel Revolutionized Our Understanding of the Cosmos. 2008, W. W. Norton. A popular-level history of their partnership by a science reporter. Lightman, B. “Constructing Victorian Heavens: Agnes Clerke and the ‘New Astronomy’ ” in Gates, Barbara & Shteir, Ann, eds. Natural Eloquence: Women Reinscribe Science. 1997, U. of Wisconsin Press. Richardson, Robert “Henrietta Leavitt” and “Lady Huggins” in The Star Lovers. 1967, Macmillan. Eisberg, Joann “Making a Science of Observational Cosmology: The Cautious Optimism of Beatrice Tinsley” in Journal for the History of Astronomy, vol. 32, p. 264 (2001). Hoffleit, Dorrit “Antonia Maury” in Sky & Telescope, Mar. 1952, p. 106. Hoskin, Michael “Astronomy’s Matriarch” in Sky &Telescope, May 2005, p. 42-46. On Caroline Herschel. Hughes, D. “Caroline Herschel: Comet Huntress” in Journal of the British Astronomical Association, Apr. 1999, vol. 109, p. 78. Larson, R. & Stryker, L. “Beatrice Hill Tinsley” in Quarterly Journal of the Royal Astronomical Society, vol. 23, p. 162 (1982). Levy, D. “Astronomy’s First Lady” in Sky & Telescope, Feb. 1999, p. 89. On Dorrit Hoffleit. Matyas, C. “Maria Mitchell: First Woman Astronomer in America” in Science Digest, Aug. 1961, vol. 50, no. 8, p. 51. Weitzenhoffer, K. “The Prolific Pen of Agnes Clerke” in Sky & Telescope, Sep. 1985, p. 211. Weitzenhoffer, K. “The Triumph of Dorothea Klumpke” in Sky & Telescope, Aug. 1986, p. 109. Weitzenhoffer, K. “The Education of Mary Somerville” in Sky & Telescope, Feb. 1987, p. 138. Whitney, C. “Cecilia Payne-Gaposchkin: An Astronomer’s Astrono­mer” in Sky & Telescope, Mar. 1980, p. 212. Annie Cannon pages at Wellesley College: http://academics.wellesley.edu/Astronomy/Annie/	Part of a student project, but with good local historical information. Taibi, Richard “Rose O’Halloran”: http://www.usskyhistory.blogspot.com (click 2012 in the blog archives and scroll down to the July 18, 2012 entry in this blog; O’Halloran was an astronomer and educator in San Francisco in the late 19th and early 20th century and the first woman board member of the Astronomical Society of the Pacific). Bell Burnell, Jocelyn “So Few Pulsars, So Few Females” in Science, 23 April 2004, vol. 304. no. 5670, p. 489. Geller, Margaret “The Black Ribbon” in Science, 28 August 1998, vol. 281 no. 5381 p. 1278. American Astronomical Society Committee on the Status of Women: http://www.aas.org/cswa/ A rich site with back issues of the valuable “STATUS” newsletter, a database of living women astronomers, legal resources, conference proceedings, and discussion of issues related to the role of professional women in the astronomy. Conklin, Nan Dieter Two Paths to Heaven’s Gate. 2006, NRAO Archives, 520 Edgemont Rd., Charlottesville, VA 22903. A memoir by a pioneering radio astronomer. Goldsmith, Donald The Astronomers. 1991, St. Martin’s Press. The chapter entitled “Mapping the Universe” profiles Margaret Geller’s life and work; there is also material on the work of Vera Rubin and Anneila Sargent in the book. Hopping, Lorraine Space Rocks: The Story of Planetary Geologist Adriana Ocampo. (2006, Joseph Henry Press.) Profile written for teenagers, in the same series as the Bortz book. 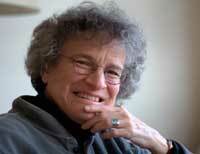 Isbell, Douglas & Strom, Stephen “A Talk with Vera Rubin” in Observatories of the Southwest. 2009, U. of Arizona Press. Jackson, Ellen Looking for Life in the Universe: The Search for Extraterrestrial Intelligence. 2005, Houghton Mifflin. A profile of Jill and her work for young people in grades 4-8. 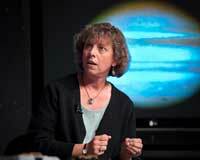 Shoemaker, Carolyn “Ups and Downs in Planetary Astronomy” in Annual Reviews of Earth and Planetary Science, vol. 27, p. 1 (1999). Reminiscences about her career. Stofan, Ellen “Venus: The Way We Might Have Been” in Stern, S.A., ed. Our Worlds: The Magnetism and Thrill of Planetary Exploration. 1999, Cambridge U. Press; pp. 31-45. Combines a discussion of the exploration of Venus with autobiographical information on her development as a scientist. Bartusiak, M. “The Woman Who Spins the Stars” in Discover, Oct. 1990, p. 88. About Vera Rubin and her work. Bartusiak, M. “The Remarkable Odyssey of Jane Luu” in Astronomy, Feb. 1996, p. 46. Chaikin, A. “Surveyor of the Universe” in Air & Space, Aug./Sept. 1991; vol. 6, p. 84. About the work of Margaret Geller. Davies, John Beyond Pluto: Exploring the Outer Limits of the Solar System. 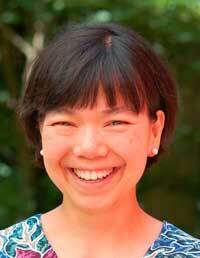 Chapter 4 features Jane Luu’s life and work. Ferron, K. “Brief Interview with Jill Tarter” in Astronomy, Dec. 2009, p. 10. Flamsteed, S. “Star Spots: The Work of Sallie Baliunas” in Discover, Dec. 1991, p. 29. Flanagan, R. “Observer of the Gas Giants” in Astronomy, July 1997, p. 50. About Heidi Hammel. Reed G. “The Discovery of Pulsars: Was Credit Given Where it was Due?” in Astronomy, Dec. 1983, p. 24. About Jocelyn Bell Burnell. Irion, R. “Vera Rubin Profile: The Bright Face Behind the Dark Sides of Galaxies” in Science, vol. 295, no. 5557, p. 960 (Feb. 8, 2002). Levy, D. “Star Trails: Carolyn Shoemaker” in Sky & Telescope, June 1991, p. 658. Lubick, N. “An Ear to the Stars” in Scientific American, Nov. 2002, p. 42. 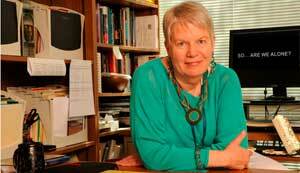 A brief profile of Jill Tarter and her SETI work. Naeye, R. “Unlocking New Worlds” in Astronomy, Nov. 2002, p. 48. A profile of Debra Fischer and discussion of her work. Schomaker, W. “NASA’s Visionary” in Astronomy, Jan. 2005, p. 48. Interview and profile of Anne Kinney. Stephens, S. “Hubble Warrior” in Astronomy, March 2000, p. 52. Profile of Wendy Freedman’s work trying to find the Hubble constant and other cosmological parameters. Wade, N. “Discovery of Pulsars: A Graduate Student’s Story” in Science, Aug. 1, 1975, p. 358. Discussed Jocelyn Bell’s role in the discovery of pulsars. Waldrop, M. “New Director Named for Kitt Peak” in Science, vol. 224, p. 265 (Apr. 20, 1984). A story about Sidney Wolff. Wiley, J. “Margaret Geller: Star Mapper” in Astronomy, Nov. 2000; vol. 28. p. 104. Lawler, Andrew “Margaret Geller: Battling Discrimination or Bureaucracy?” in Science, 12 November 1999; vol. 286. no. 5443, p. 1277. Jill Tarter has given many public talks that are on the web. Here are two shorter ones.